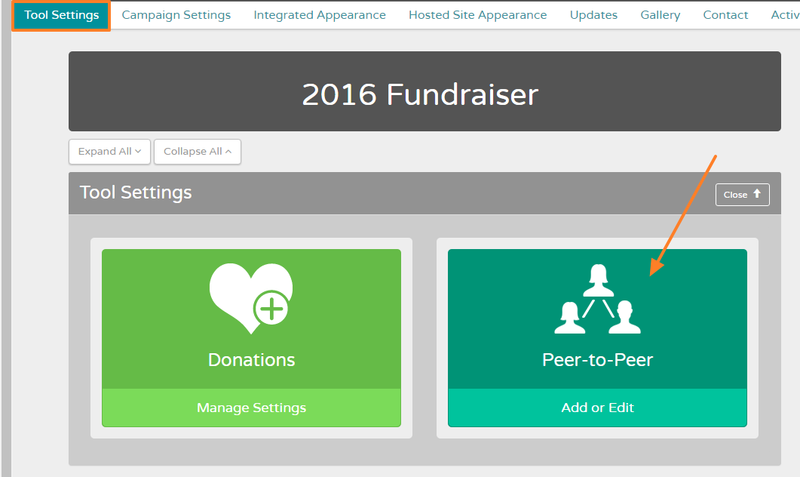 There are 3 main ways to view activity for an individual fundraiser/peer. 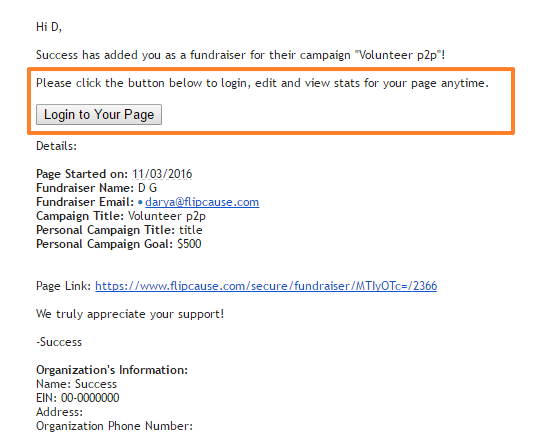 In the Peer-to-Peer settings of your campaign, click to "Edit" any individual fundraiser. This will show you a page with their stats. 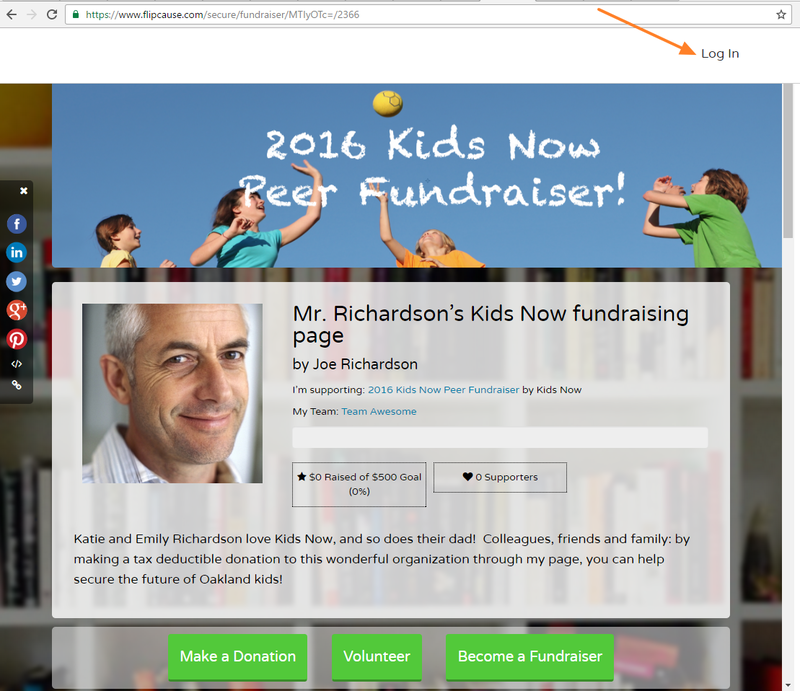 or by clicking Log In from the top right of any individual fundraising page. You can also pull a report by going to Reports > Transactions > Select Date range, Activity you're looking for, and the specific campaign you are interested in. After hitting "Generate Report," export this into a CSV file (use either full report or be sure to select "Referral Details" fields if using custom export). Open the .csv file in a spreadsheet program such as Excel, and filter that spreadsheet by Referral Name or Referral ID column. 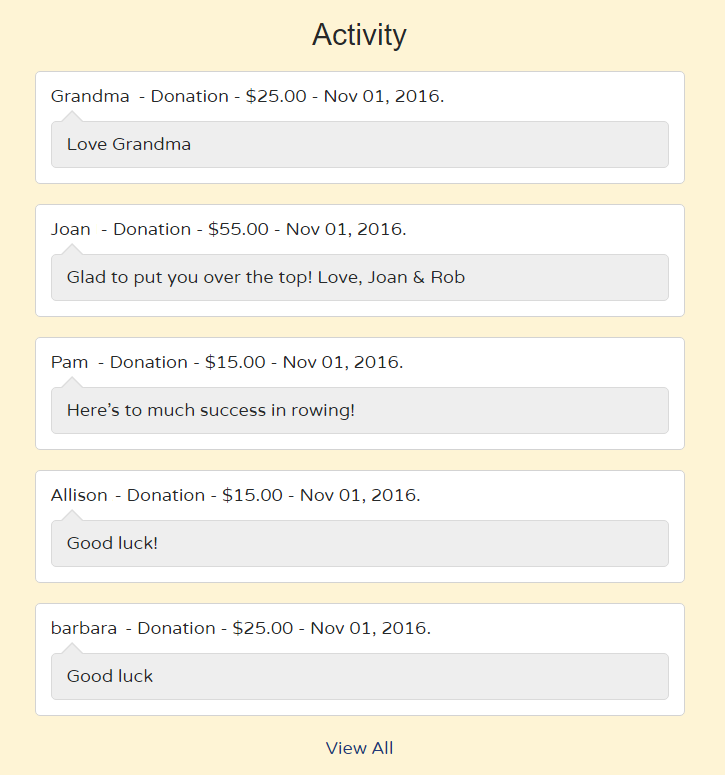 This will sort the entire report by individual fundraiser/peer, and allow you to see all the data in one area.